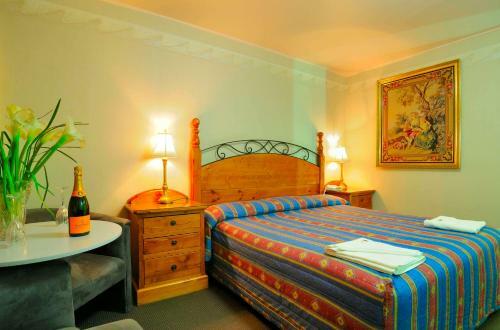 This air-conditioned room features a desk and a flat-screen TV with a DVD player and cable channels. 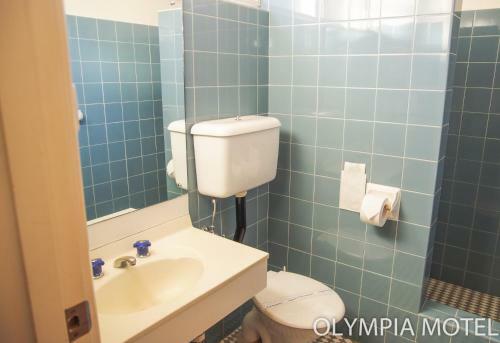 The en suite bathroom has a shower and a hairdryer. 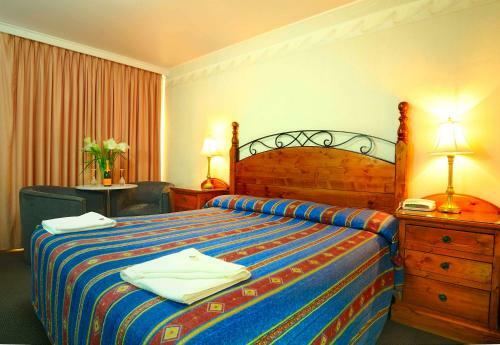 Ironing facilities and towels and linen are provided. It has a fridge, microwave and toaster. Please note that the price is based on 3 guests. Please note that there is no capacity for additional guests. This air-conditioned room features a flat-screen TV with a DVD player. 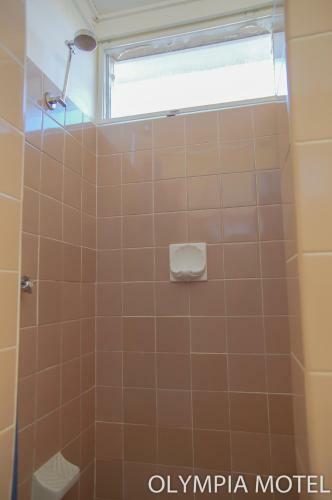 The en suite bathroom has a shower and a hairdryer. 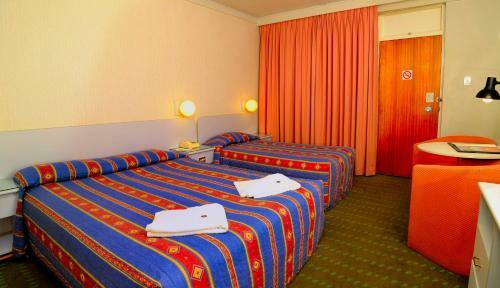 Ironing facilities and towels and linen are provided. It has a fridge, microwave and toaster. Please note that the price is based on 3 guests. Please note that there is no capacity for additional guests. 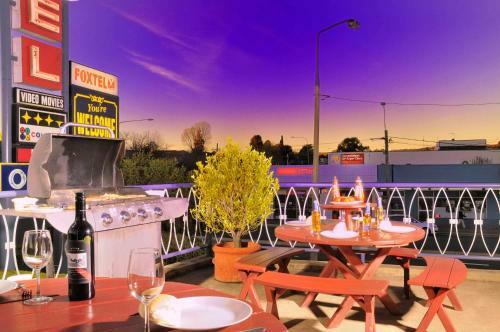 This double room has a microwave, barbecue and electric kettle. 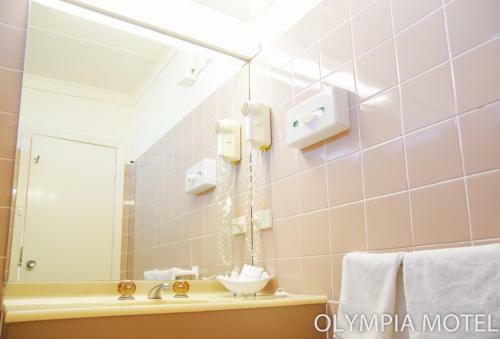 This double room features a electric kettle, kitchenware and toaster. 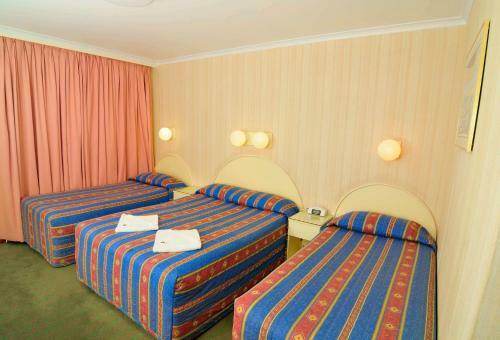 This twin room has a microwave, garden view and satellite TV. This family room features a microwave, air conditioning and sofa. 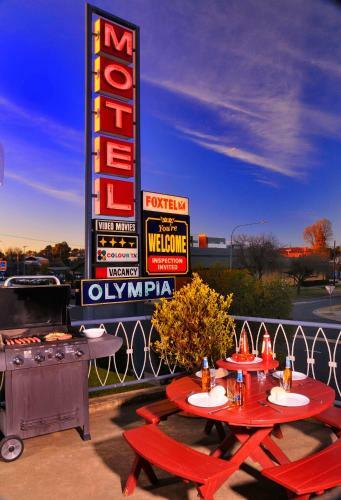 Just a 2-minute drive from the heart of Queanbeyan, Olympia Motel offers free Wi-Fi, BBQ facilities and a games room. All guest rooms feature a flat-screen TV with a DVD player, and a fridge. 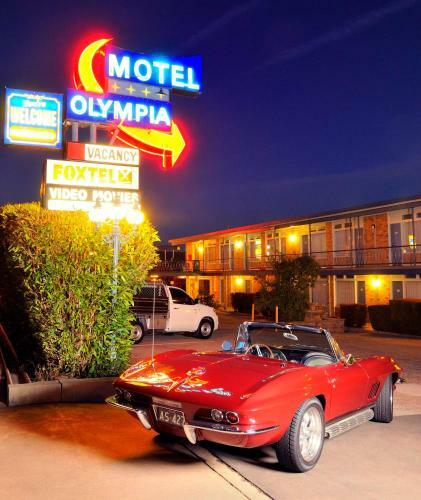 Olympia Motor Inn is a 7-minute walk from the Queanbeyan River and a 6-minute drive from Queanbeyan Golf Course. 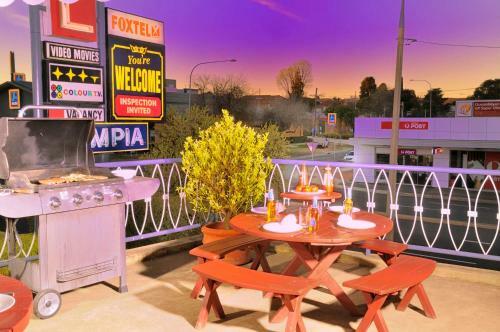 Shepherds Run Winery and Canberra city centre are both a 20-minute drive away. 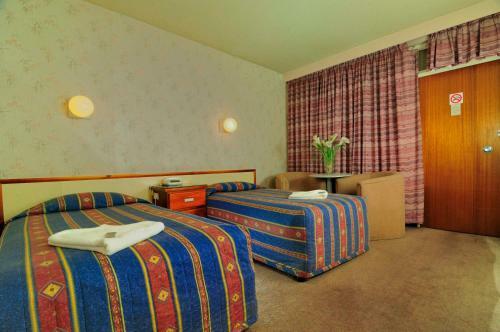 All air-conditioned rooms offer free towels and linen, and tea and coffee making facilities. 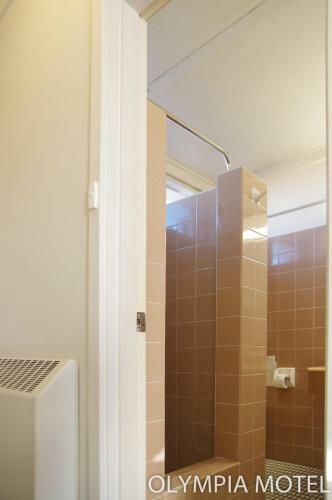 The en suite bathroom has a hairdryer and a shower. Guests can relax outdoors on the terrace. Laundry facilities are available. 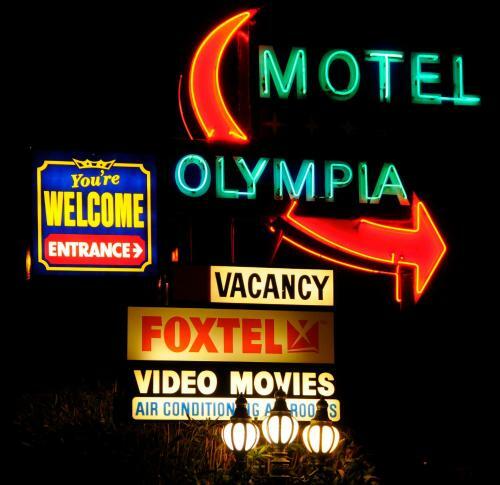 If you expect to arrive outside reception opening hours, please inform Olympia Motel in advance, using the contact details found on the booking confirmation. Please note that there is a 1.5% charge when you pay with an American Express credit card. The shower was awesome....much appreciated after driving all day!! Clean bed , bathroom and easy to find with shops nearby. 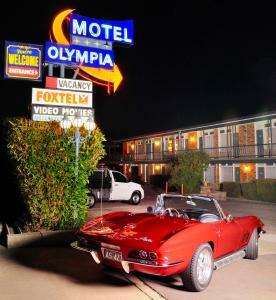 Although a bit dated, premises were VERY clean and everything in the room worked.. Some traffic noise however this generally subsided by late evening. TV needed re-tuning to include SBS. Comfortable and Practical, it was perfect for my stay. Not that it worried me but the outside presentation was poor, but once inside the room it was more than adequate. We liked the blue light inside the kettle. It also had a mirror in the bottom of the kettle when you looked in the top.Funky balustrade outside! 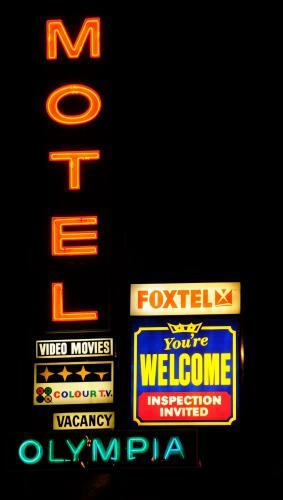 Limited foxtel channels. Illuminated signage outside said _O_EL. Large room, microwave available, very clean. Room heater was on before we arrived, a very nice touch on a cold night. We like all things what they have???????????????? Room was welcoming clean and tidy. 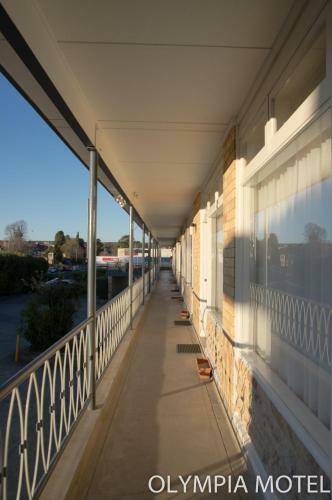 Easy level walking to the main shopping street of Queanbeyan. 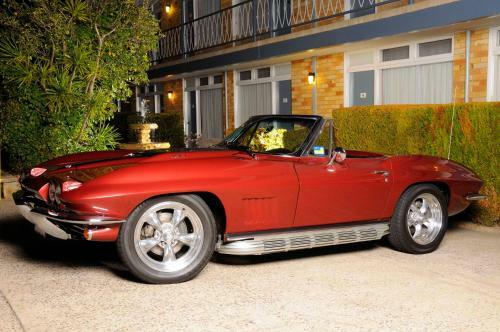 Nothing new or flash, but everything was comfortable, clean and functional. Good welcome and location. Reasonable price. whilst having a shower,water temp,would erraticly go hot to cold quite fast..
Nice people and clean room. plenty of room and close to main shops. the room smelt of being a bit musty at first. Rooms and appliances especially air conditioner where rather dated.